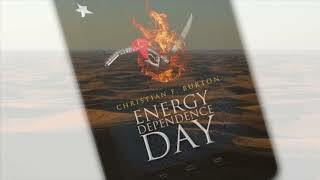 Christian F. Burton is a graduate of the United States Air Force Academy. As a member of the air force intelligence community, his military service included stops in Saudi Arabia, Bahrain, South Korea, Japan, and Germany. He leveraged his experiences overseas in crafting this novel. Christian F. Burton is currently not accepting new questions. Will we ever stop playing the Blame Game? We’d love your help. 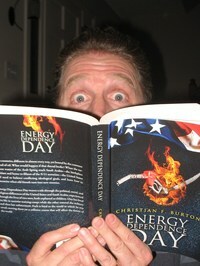 Let us know what’s wrong with this preview of Energy Dependence Day by Christian F. Burton. My family knew Wendy Lansbach Boglioli's family and swam with them up in northern Wisconsin. I remember going to a small supper club to see Wendy's olympic medals from the Montreal games. I must have been 7 years old at the time. Given my age, I didn My family knew Wendy Lansbach Boglioli's family and swam with them up in northern Wisconsin. I remember going to a small supper club to see Wendy's olympic medals from the Montreal games. I must have been 7 years old at the time. Given my age, I didn't understand the social and political dynamics that affected those games. So, for me, this book helped put certain memories in context. There are a lot of good quotes in the novel. Some quotes are inspirational while others are quite funny. The quotes from those central to the GDR doping program are frankly a bit disturbing, but not surprising given the continued struggle that the International Olympic Committee (IOC) still faces in regard to PEDs. While Title IX certainly has enabled female athletes to compete throughout their collegiate careers, I still sense that many high level swim clubs are still striving to create the next teenage phenom. It would seem that given the changing swimming landscape this wouldn't be are critical as it once was. We’d love your help. Let us know what’s wrong with this preview of Munich to Montreal by Casey Converse. How do you learn to trust again when the truth has been hidden from you for so long? 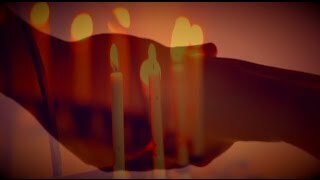 How do you learn to love again when your loved ones are all gone? In Tiva Boon: Heir of Abennelp, our heroine must face these emotional challenges in addition to a p How do you learn to trust again when the truth has been hidden from you for so long? How do you learn to love again when your loved ones are all gone? In Tiva Boon: Heir of Abennelp, our heroine must face these emotional challenges in addition to a plethora of other threats. Torn between her new life among the stars and her old life on Abennelp, Tiva struggles to balance her commitment to the Union Vexillum and her allegiance to her home world. Ultimately, she realizes that she must face her past in order to have a future. Will the alliances she's made during her space travels hold true as she confronts the evil that has infiltrated her home world? We’d love your help. Let us know what’s wrong with this preview of Tiva Boon by Jenn Nixon.